The AM-RB 003 joins the Valkyrie and Valkyrie AMR Pro as the third mid-engine Aston Martin. A material called FlexFoil, developed by FlexSys Inc. and validated by NASA is found on the car. 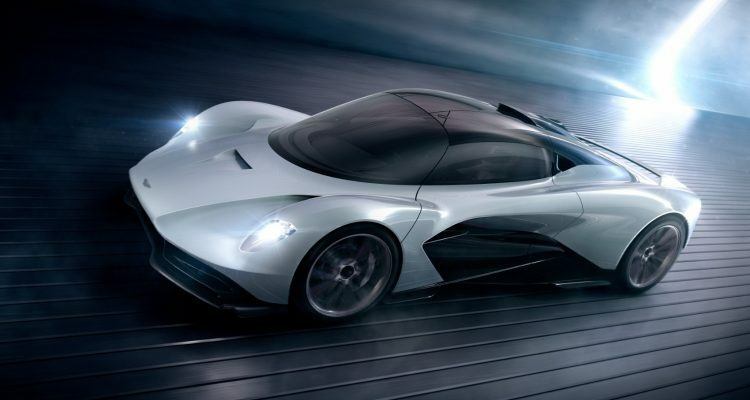 It was called Project 003, now Aston Martin has made it official, saying they will produce an all new, mid-engine sports car called the AM-RB 003. 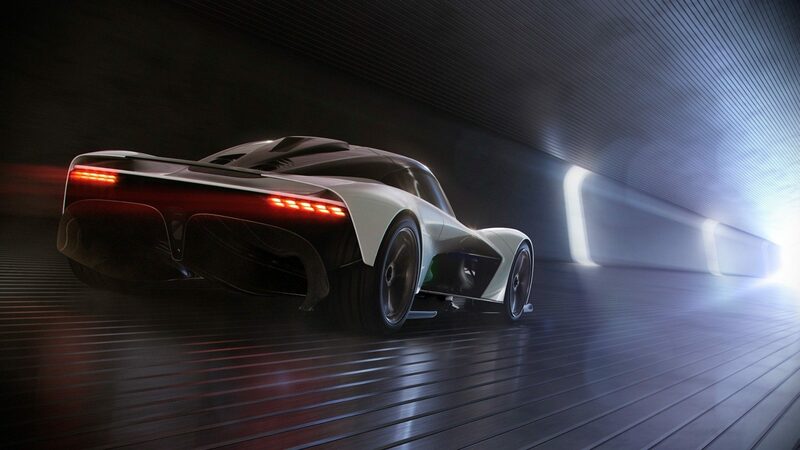 The Aston Martin AM-RB 003 joins the Valkyrie and Valkyrie AMR Pro as the third mid-engine car from the brand. The RB in there stands for Red Bull (that would be the racing team, not just the drink maker) meaning there is lots of direct technology bleed-through from an F1 team into what will soon be seen on the streets. This is, in short, a good thing. 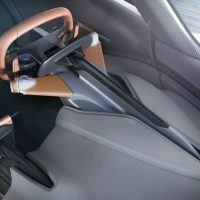 Aston Martin has been on a bit of a tear lately, releasing a whole slew of concept cars or, actually, concept drawings. 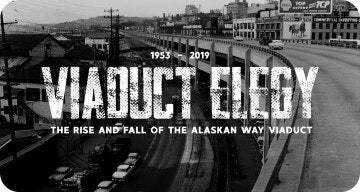 To me, this could mark a dangerous decent into Silicon Valley vaporware, but let’s leave that be for the moment. A few of these Aston drawings/show cars are actually destined for the roads, the AM-RB 003 being the latest one. 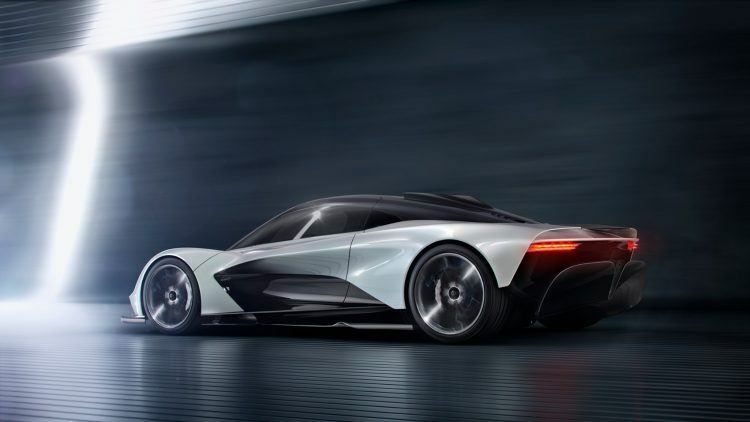 What the Aston Martin AM-RB 003 is, is a mid-engine V6 two-seater aimed squarely at the same sort of cars coming out of Maranello or Woking or Stuttgart. This is both a marketing solution and an engineering one. You can only get so far with front engine/rear-wheel drive cars (something that before now was all Aston Martin made). From a performance standpoint, and marketing-wise, if you don’t have anything to offer your potential buyers in that arena, then you are guaranteed not to have many sales. The AM-RB 003 employs a lightweight carbon fiber structure and bodywork for maximum aerodynamic efficiency. Photo: Aston Martin The Americas. The AM-RB 003 follows in the wheel tracks of the upcoming Aston Martin Valkyrie hypercars. 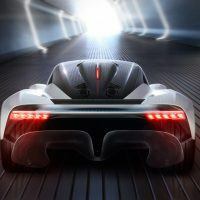 It will incorporate concepts and technologies taken directly from F1 racing and those first used on the Valkyrie. Think of it as Aston’s 488 GTB or Cayman. The 003 will not be as all-out performance-oriented as the Valkyrie, and will have greater concessions to practicality and road use. In other words, you could use it to drive to work or get groceries. They will only produce 500 copies of the AM-RB 003, so they will be a fairly rare sight. Which is really stretching it, if you have to point out stuff Toyota has been doing since 1973. There is a display screen on the steering column for the best possible view through the steering wheel. 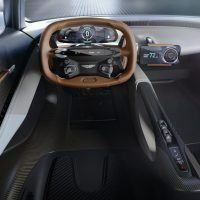 Aston Martin says the infotainment system utilizes a “bring-your-own” technology approach for maximum functionality, simplicity, and flexibility. In other words, your smartphone will run stuff inside the car. This is a good move. Aston Martin AM-RB 003 interior layout. Photo: Aston Martin The Americas. At the moment, Aston is not saying much about the motive power behind the 003. 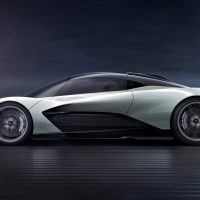 Just that it will be “the first car to receive Aston Martin’s new hybrid turbo V6 engine, marking Aston Martin’s return to in-house designed engines.” So sorry, no in-depth specs on displacement, power output, hybrid power or any of that stuff. We’ll have to wait. The aerodynamics, on the other hand, look to be very cutting edge. Although not stated outright, it’s easy to see this is all bleed-through from Adrian Newey’s involvement in the Valkyrie. The 003 will have a noticeable front keel and huge rear diffuser. The underfloor will generate the bulk of the downforce. On the top of the AM-RB 003, you will find next-generation aircraft morphing technology that creates a variable airfoil across the rear wing. Named FlexFoil, Aston Martin is the first to deploy it in the automotive industry. Although to my eyes, it seems like a similar deal to McLaren’s bendy-foldy stuff on their upcoming Speedtail. Aston’s version allows the downforce to be changed without changing the angle of the wing itself. So you know, it’s like a flap. Obviously, going this route allows for higher performance, improved efficiency, and reduced wind noise. So yeah, lots of slick tricks on this car! Now, Aston, pal, tell us more about that hybrid V6! 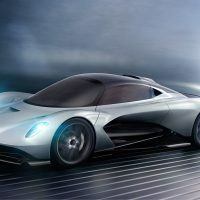 We cannot wait; although Aston Martin says technical details will eventually emerge as the development program progresses. Expect the AM-RB 003 in 2021. No Comments on "Aston Martin AM-RB 003: One Rare Grocery Getter"